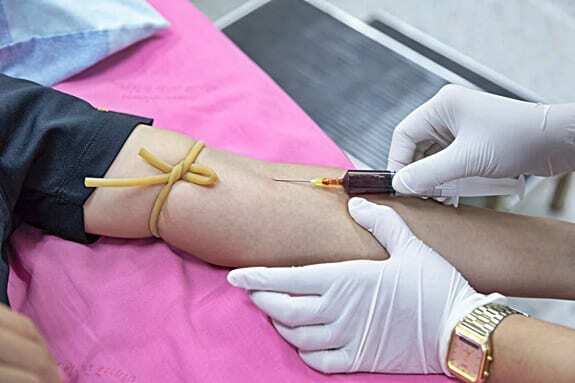 Phlebotomy on the Job Training: What Should You Expect? Recruiters want to see signs that you’re 100% committed to a career in phlebotomy. This can be achieved through placement or volunteer work. But, how do you take your skills to the next level? You’re ‘unlikely’ to have gained enough practical skills on a 4-month training program! The purpose of on-the-job phlebotomy training is to build on the academic knowledge that you’ve gained at your local college. So, what can you expect from job-based training, and why is it so important? When you take a typical phlebotomy training program, you’ll learn the basics of phlebotomy. But, there’s no substitute for working directly with real patients and being part of a medical facility each day. When you do get a job as a phlebotomist, your training will consist of working directly with a supervisor. You’ll regularly learn something new as different scenarios are encountered every day. In fact, you probably won’t get to work unsupervised for months. But, this training period is essential for you and your employer! Phlebotomy on-the-job training ensures that you’ll develop the experience that you need to work independently. It also ensures that the medical facility that has employed you is working hard to maintain the highest standards of service for all of its patients. 1 What is on the Job Phlebotomy Training? 1.1 Why Do Medical Facilities Offer In-House Phlebotomy Training? 1.1.1 What Are the Risks of Phlebotomy? 1.2 What Can I Learn from In-House Training? 1.4 Can a Phlebotomist Advance Their Career Through on-the-Job Training? What is on the Job Phlebotomy Training? If you’ve already completed a phlebotomy training course, you might be wondering why you should bother with extra training in-house. There are many different reasons hospitals, clinics, etc., need to offer hands-on training. This guide will focus on those reasons. We’ll also cover more of what you can expect with on-the-job training. It can be a lot more intense and hands-on than the controlled environment of a phlebotomy course at a college or training facility. Even if you went the extra steps to get certified as a phlebotomist, it might not be enough. Yes, certification is excellent for more experience. It also is likely to help you get hired compared to someone who hasn’t obtained a certification. But, it doesn’t mean you have all the training and skills necessary to work with patients on your own. You’ll learn things on the job that can’t be taught in a classroom setting in a matter of months. Let’s take a closer look at what your hands-on training might look like. Why Do Medical Facilities Offer In-House Phlebotomy Training? Places like hospitals offer on-the-job training because they want to make sure their phlebotomists are experienced and confident. When you complete your phlebotomy training in under a year, you should know how to perform venipuncture. You probably had to do it on a large number of volunteers or other students. You’ve also been given information from the classroom style of training. But, nothing compares to working in a hospital or busy clinic. When you do get hired, you’ll most likely start out as a phlebotomy trainee. Every facility has their own timeline, but some won’t allow you to work on your own until you have at least two years of experience under your belt. Yes, phlebotomy is an entry-level position. But, medical facilities have to consider how important it is and what the risks are. Nothing compares to performing successful sticks day after day. When you’re doing that under supervision or watching others do it, it can be beneficial. What Are the Risks of Phlebotomy? So, what are the dangers that hospitals and clinics want to be sure to avoid with extra training? Accidentally sticking your patient with a needle: Obviously, drawing blood from your patient will take a stick with a needle. But, there’s a method and system for doing this. If you stick a patient the wrong way, it could cause them pain or cause them to bleed. 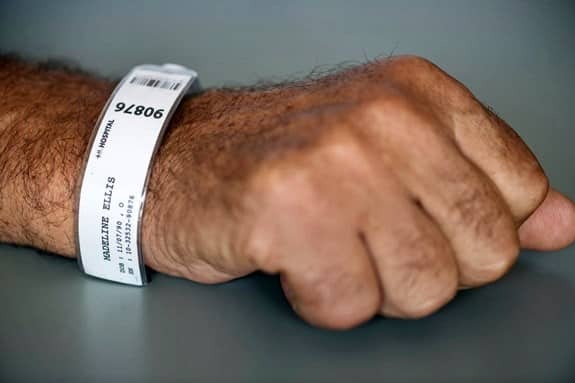 Any ‘accidents’ that happen with a patient could spell disaster for the medical facility involved. In some cases, a patient might even be able to sue you or your employer for negligence. Although you’ll have indemnity insurance, it’s not surprising that hospitals want to avoid this at all cost. Accidentally sticking yourself with a needle: A lack of experience can sometimes mean you’re not as confident in your craft as you should be. Your nerves can quickly get the best of you in these situations. It’s easier to make a mistake when you don’t have the experience needed to stay completely focused. One of the most significant risks that result in this kind of carelessness is sticking yourself with a needle. If it’s a used needle, you could instantly be at risk for blood-borne illnesses. Giving the medical facility a bad reputation: One reason a hospital wants to provide extra training to phlebotomy graduates is to make sure they shine a favorable light on the facility. No two medical facilities are exactly alike. They all may have slightly different rules. But, they also all have their own way of communicating with patients and providing service. It’s just as important to learn how your place of employment works and functions as it is to learn about phlebotomy techniques. What Can I Learn from In-House Training? You might think you learned all there is to know about phlebotomy from your training program. If that were true, medical facilities wouldn’t have to offer on-the-job training. You can learn so much more and grow your career when you’re willing to receive more education from your place of employment. A training program can teach you the ins and outs of what it takes to be a phlebotomist on paper. But, your employer might expect more, especially when it comes to personal requirements. Not everyone has the perfect characteristics to be a phlebotomist. But, medical facilities usually demand certain mannerisms and strong patient service. If you don’t naturally have some of these skills, you can go through orientation and training to get better at them. If one or more of these skills don’t come naturally to you, take the extra training opportunity to better yourself. The best part about learning these skills on the job is that you can determine exactly how your employer wants you to behave and carry yourself around patients. You’re holding the reputation and name of your employer in everything they do. So, of course, they’d be willing to take the extra time to make sure your personality is on par with their mission. Because of the potential risks listed above, many employers will want to train you on their specific safety procedures. 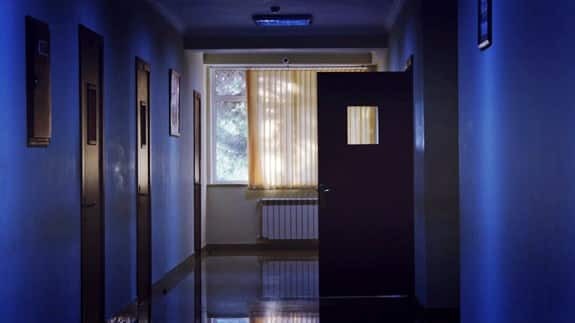 Every place has its own set of rules, and in a hospital, clinic or private practice, these rules are more important than almost anywhere else. Being familiar with rules and regulations will help to keep you and your patients safe. The procedures you may have to learn to go beyond just working with patients. Phlebotomists have to travel to different areas. If you work in a hospital, you might frequently have to go from floor to floor, especially when taking samples to a lab. You’ll have to learn how to do this correctly, as well as lab safety precautions. Again, you may have covered the basics of safety procedures in your standard training session. But, learning how to put them in place for your place of employment may need extra training. You’ll be glad to take these extra steps to protect yourself. When you go through a phlebotomy education program, you’ll learn the basics of drawing blood. You’ll also have to perform successful blood draws to graduate. But, there is always more to learn. It’s important to know different venipuncture techniques, and not all programs have these options. Your patients may not always have a viable vein in their arm. Because you don’t want to have to keep them in an exam room for hours looking for a vein, you need to be prepared to draw blood elsewhere. Spending a few weeks training in a medical facility can better prepare you for these situations. You can learn about different types of syringes and how they are used. You’ll also be able to learn different blood draw techniques and various locations where you can draw from. What’s even more important about this area of on the job training is that it will give you a better chance of staying calm under pressure. If you can’t find a vein on an obese person or a patient is getting frustrated, it can be easy to feel that frustration, yourself. The more prepared you are to handle these situations, the better. The calmer you can be, the easier it will be to do your draw correctly. You can also help to put your patient at ease. Phlebotomy training through a college or specific program is mostly focused on your education. You may need to work with others when it comes time to practice your venipuncture skills. But, this tends to mimic patient interaction rather than working with a team. No matter where you work as a phlebotomist, you’ll have to interact with others to achieve a common goal. Hospitals are a perfect example. When you’re a phlebotomy technician at a hospital, you’re a team member. You draw blood from patients and interact with the lab. The lab works together to develop a diagnosis. Then, they give the diagnosis to a physician who gives it to the patient. A specialist may be needed if there is a specific condition. It all starts with you, as a phlebotomist, but you are just one part of the ‘greater good’ in the medical field. You’ll interact with staff members on a daily basis. So, spending some time as a trainee gives you the chance to get to know people. Building strong working relationships can make your job a lot easier. There’s no better way to do this than to train on-the-job. There may be different tools or pieces of equipment you’ll be required to use in a medical facility. There’s a good chance you didn’t cover all of them in your training program. Some of these tools and equipment go hand-in-hand with different venipuncture techniques. So, it’s just as important not only to know how to use them but to be comfortable with them. Even if you did learn about specific tools and pieces of equipment, there is no substitute for hands-on experience. You can get that when you use them in a work environment. A supervisor will usually show you how to use them, and you can observe how they work. Eventually, you’ll be the one doing the work under supervision until your employer is confident you can work on your own. During this period, you’ll learn a lot from your employer, but they can also learn a lot about you. We already touched on the personality traits needed to be a phlebotomist. But, many people overlook the physical skills required. First, having strong hand-eye coordination is essential. This might not seem like a big deal, and you may not even think about how skilled you are in this area. But, when you’re working with needles and veins, it’s a necessity. More practice with venipuncture will help you assess your coordination and can help you get better at it over time. Phlebotomists are usually on their feet most of the day. If you work in a large facility, you could be doing a lot of walking, and you may have to move quickly between patients and transporting blood samples. If you’re not physically up to the task, you may not be a good fit for a big or busy hospital. Your time of on-the-job training will give your employer a better idea of that. You may even realize, yourself, that you aren’t up to the physical demands. Some medical facilities may want you to take extra training courses before you’re able to work on your own. One of the most common courses to take is CPR. Becoming CPR certified is incredibly important whether you work in a hospital or small private practice. But, not every phlebotomy training course offers CPR certification. CPR isn’t something you will learn on the job. But, you may need to take it as an extra course as one of the terms of getting hired. Some hospitals may ask that you take other courses, too. It all depends on where you’re working and what other duties might be expected of you. It’s a good idea to go over those expectations during the interview process before you get hired. Phlebotomists are in high demand. It’s a career that shows no signs of slowing down any time soon. As large segments of the population keep getting older and technology continues to advance, more phlebotomy techs will be needed. But, no matter how high the need, most medical facilities won’t let you work on your own as a phlebotomist without experience. On the job training is one of the best ways to get this experience. But, if you’re still struggling to get hired, there are other ways you can build up your resume. Internships: If a medical facility doesn’t hire you as an employee, you may be able to get an internship. Internships provide on-the-job training, but you typically won’t get paid. You also probably won’t have as many responsibilities as phlebotomists who have been hired by the facility. As an intern, you’ll work with a phlebotomist and shadow them. This is still a great way to gain experience in a specific setting. For example, a hospital may be more willing to hire you if you went through an internship there. Volunteering: Doing volunteer work as a phlebotomist is one of the best ways to get experience and boost your resume. Phlebotomists are in need all over, not just in busy hospitals! But, many organizations can’t afford to have full-time phlebotomists on staff. So, they depend on phlebotomy volunteers. Not only does it give you the opportunity to give back, but you’ll gain real-world, hands-on experience. If you can’t get hired and get on the job training right away, the best thing you can do is build up your resume somehow. Either of these options will help you to do just that. The more hands-on experience you have, the easier it will eventually be to land a job. Can a Phlebotomist Advance Their Career Through on-the-Job Training? After several months of training and possible certification, your career is just beginning as a phlebotomist. If you get hired right away, you may need several more months (or sometimes up to two years) as a trainee before you can work on your own. So, is all the training worth it for an entry-level career? The answer is yes. Phlebotomy is a fast-growing career, but it’s also rewarding and can be quite lucrative. You can choose to take more schooling throughout your career. This can help you toward different positions in medicine. Nurses and doctors can even start out as phlebotomists as long as they continue their education. But, you can continue your on the job training as a phlebotomist, too. The more experience you gain through your work, the better. Experience and time are often what gets a phlebotomist promoted. With enough experience, you could move up to a supervisory position. That means you may one day be the person who watches over new phlebotomy trainees! These advancements and extra opportunities for training have even more benefits. The average salary for an entry-level phlebotomist is about $33,000. But, supervisory positions often come with a pay raise. On the highest level, phlebotomists can make nearly $40,000 each year. Keep in mind that even when you start out, on the job training means you’ll still be getting paid for what you do. It may not be as much as you will eventually make. But, it’s a great place to start and can lead to a long career. Getting training as a phlebotomist has many benefits. If you’re already working in the medical field, moving into phlebotomy can be a natural step! You’ll still need to take a formal training course, but you may not have to have as much in-house training afterward. Even with no experience, you can find work as a phlebotomist if you’re willing to get hired as a trainee. Every facility will have their own guidelines for how long you’ll have to train in-house. But, it’s important not to see that trainee period as just another step to go through. If you’re able to make the most of it, you’ll end up doing your job much better. You can present yourself as a solid representation of what your employer is looking for. On top of it all, you’ll be helping patients every day. Phlebotomy is a great career to get into, and it doesn’t take long to complete an education program. Whether you want to be a lifelong phlebotomist or work elsewhere in medicine, the extra training can go a long way.